It is never enough to hire a lawn mowing Balwyn company for mowing services once in a while. A properly maintained lawn requires constant attention if it is to give you an attractive home, neighbourhood and community. For that reason, it is essential that you work with a reputable company to develop a workable lawn maintenance schedule that will result in the activities highlighted next that are in addition to frequent mowing. Throughout the year, your lawn needs nutrients to maintain optimal health and looks, and prevent diseases and stress. An annual lawn maintenance schedule is ideal for this purpose since every season except winter offers a reason to apply fertiliser. Read more from this blog. Based in Templestowe Victoria, Acre Lawns provides quality lawn mowing, ride-on mowing and garden maintenance services in Melbourne’s East. At Acre Lawns, we don’t just mow lawns. We’re a professional, experienced garden maintenance team that you can truly rely on. Large or small property, residential or commercial, we listen to you and work with you to address all your lawn and garden maintenance needs to your complete satisfaction. We go the extra mile to keep your lawns and gardens healthy and beautiful. That’s why many of our customers become regulars. We remove all worries and hassles, leaving you to enjoy your gardens. All our work is guaranteed. We are fully insured so you can feel confident using our services. We are committed to providing high quality work and excellent customer service at all times. 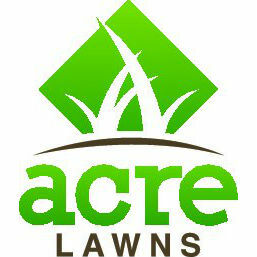 See which suburbs we service and some of the reasons why our clients choose Acre Lawns on our About Us page. Whether you’re after a one-time or regular lawn mowing service or garden maintenance, get in touch now for a free quote. We always use the right equipment for the job and our mowing quotes include edging and blowing. 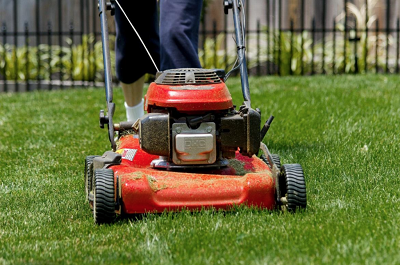 Read more about our lawn mowing services. Ride-on lawn mowing is one of our specialties. We use commercial grade equipment to ensure best results every time. Also get in touch if you need professional gardening and garden maintenance for your domestic or commercial property in the vicinity of Templestowe. We can develop a maintenance schedule to suit your needs.